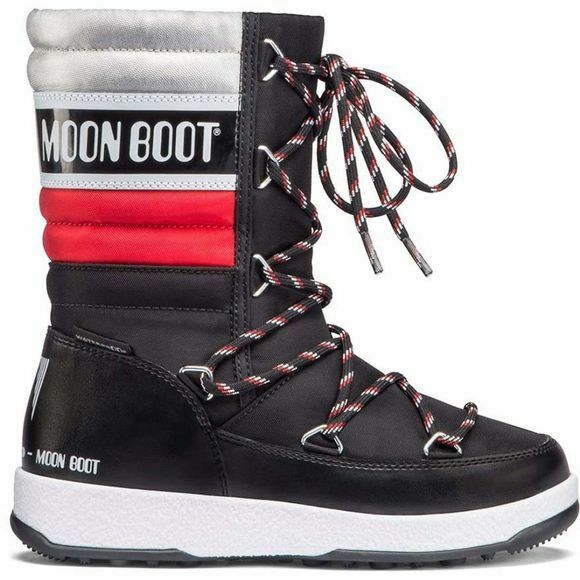 Introducing the Moon Boot® W.E. Quilted JR après-ski boot. These ski inspired snow boots are built to help withstand the ice and cold whilst providing decent traction on those snowy surfaces. The cozy kid's winter boot features a sleek and toasty, synthetic leather upper with adjustable laces to secure the right fit. Foam insulation protects their toes from cold temperatures. The gripped rubber sole of the boot provides reliable traction on cold-weather surfaces.